We are experiencing new (to us) holidays here and quite enjoying them. First off was Dia de la Revolucion, which is the 20th of November. 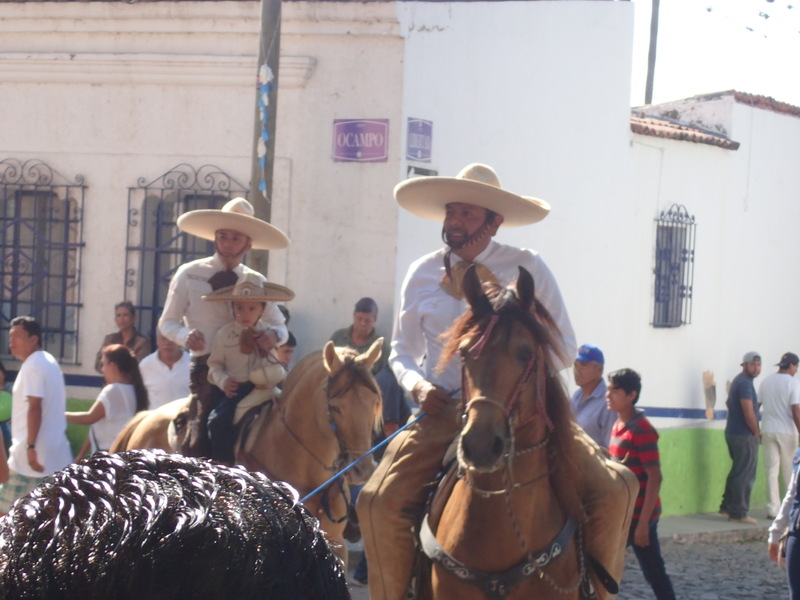 In Ajijic, we had a parade in the morning that largely consisted of school groups. We heard it was much smaller than usual, but since we hadn’t seen it before, it was all good for us. Most of the school groups are dressed up as revolutionaries and some did a little re-enactment of the revolution with toy guns. The others did dances, led by extremely patient and organized teachers. Because trying to get a group of 5-year-olds to coordinate into a dance must be a big task! Adelante, atras, lado a lado! Lots of gym whistles and teachers demonstrating the dance moves to the distracted kids. 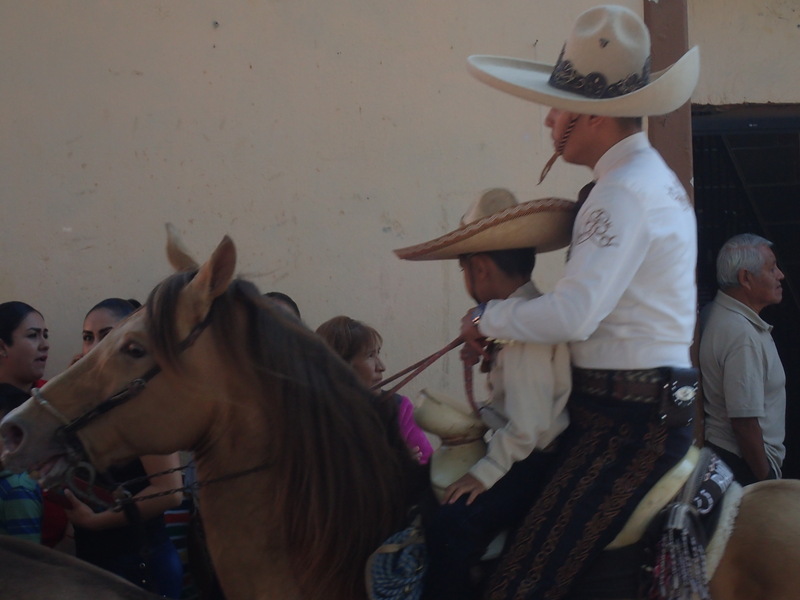 There were also horses in the parade. Did I ever mention I am afraid of horses? They are big scary animals. The riders all seemed to know what they were doing, despite drinking Corona Light at 9:30 a.m.. The festival of St. Andrew (San Andres) started the following day. A religious parade was held in early evening and concluded at the church. The festival goes on for nine nights and includes a music, food, drink, carnival rides, vendors, and lots of fireworks. The plaza and surrounding streets are totally taken over with the rides and food and drink booths. San Andres is the patron saint of Ajijic and a good description of the festival is here. My only correction to this person’s blog, which has some great photos, is that the elaborate fireworks around 10 p.m. are not the “conclusion” of the day’s festivities. In fact, they seem to be the beginning! One night we left the festival about 10:45 and the second band of the evening had not yet started. And as we made our way home on foot, most people were heading TOWARD the plaza. The festival is definitely a late-night experience! I will try to get some good photos (or get my husband to take them haha) of the concluding day(s) of the festival. November 30 is the traditional end but rumors are it will go longer this year. This entry was posted in Mexico and tagged Ajijic, fiesta, San Andres on December 1, 2017 by czelazek.